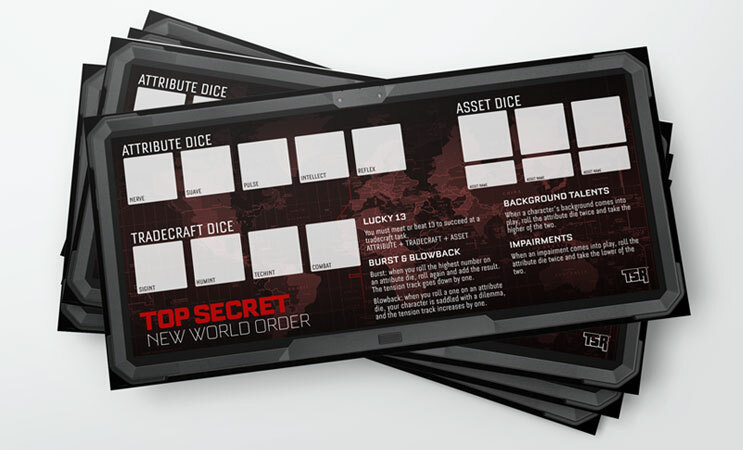 The box set for Top Secret: New World Order includes these player aids along with the rulebook, mission module, dice, and more. 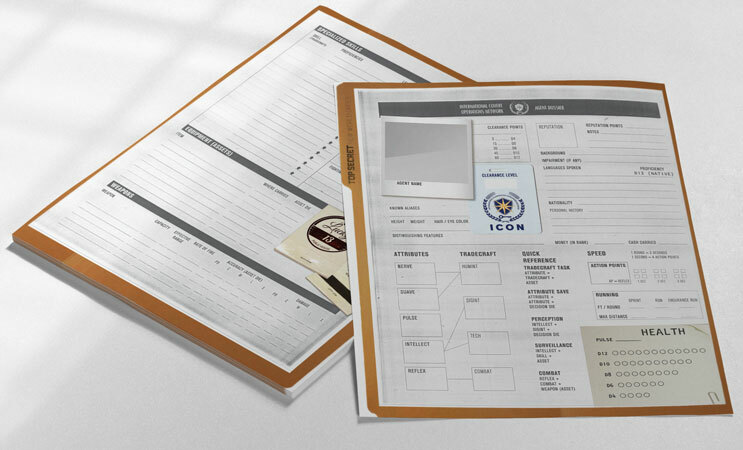 If you own the PDF version, or just want to print extra sheets for personal use, you can download character sheets, player mats, vehicle cards, and the game master screen for free in PDF form. This is the character sheet for your agent. 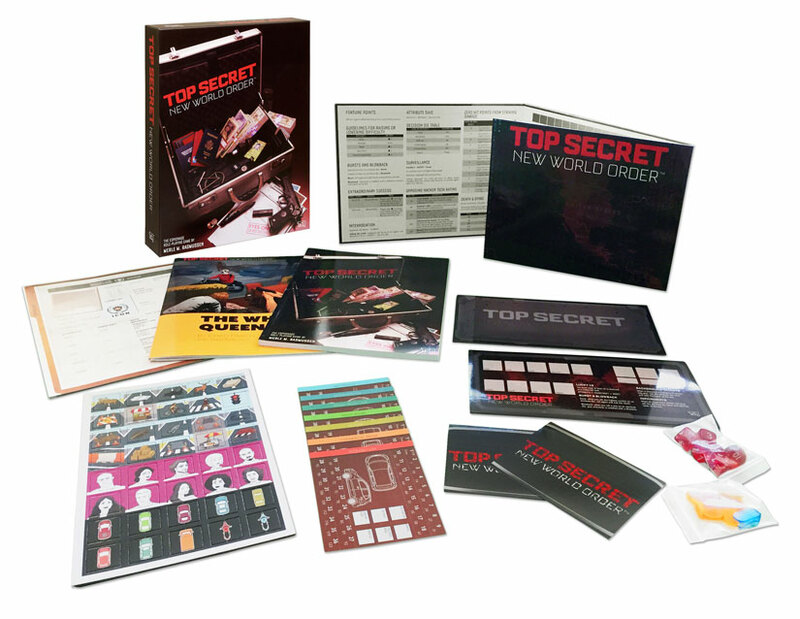 The box set includes a tablet with 20 full-color, two-sided agent dossiers. Use these cards to keep track of your vehicle’s stats and speed. 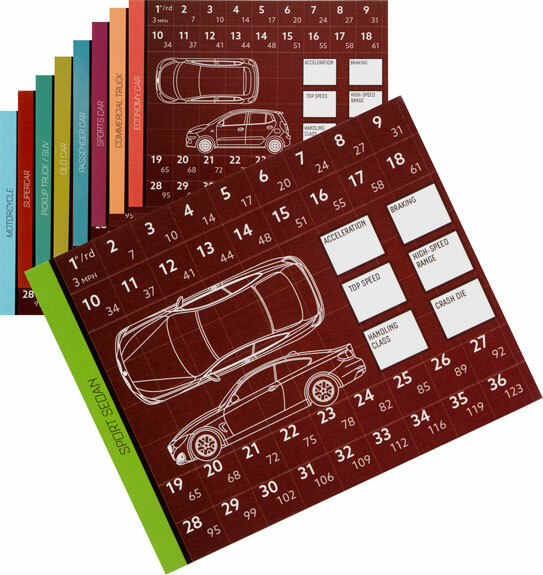 Nine cards are included in the box, for various types of cars, trucks, and motorcycles. 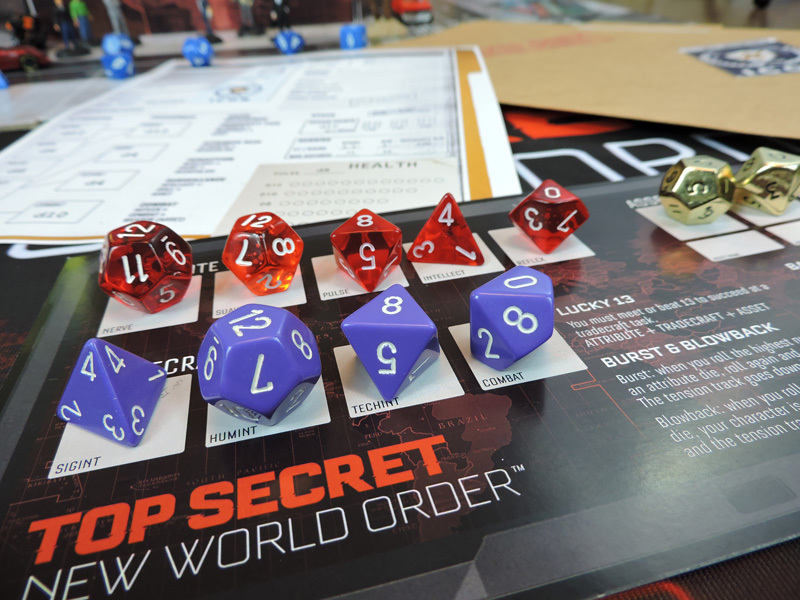 These dice mats are an optional player aid to help you keep track of the dice you’ll need to roll for tradecraft tasks and combat in-game. 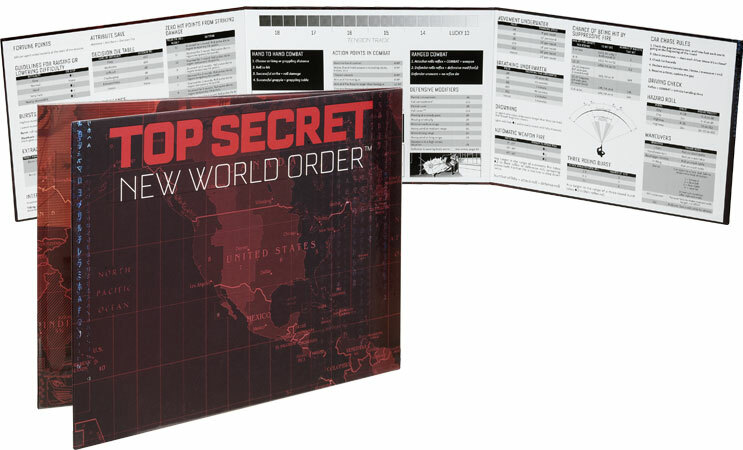 The box set includes a heavy three-panel game masters screen with the most common rules and references you’ll need as the Administrator. 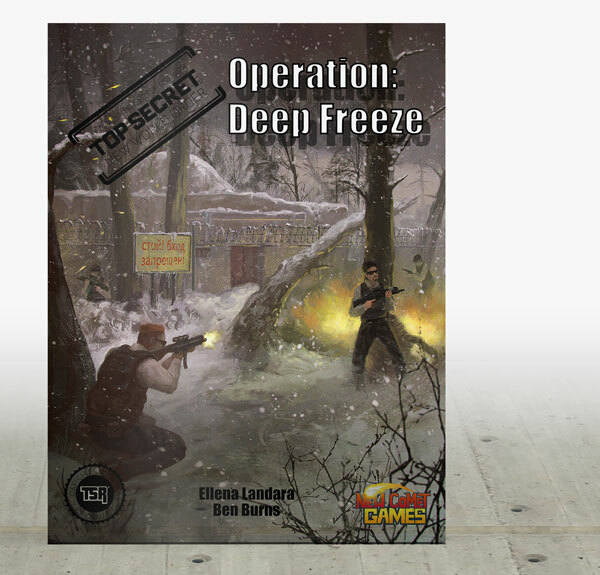 Operation: Deep Freeze is a Top Secret: New World Order mission by Ellena Landara & Ben Burns. 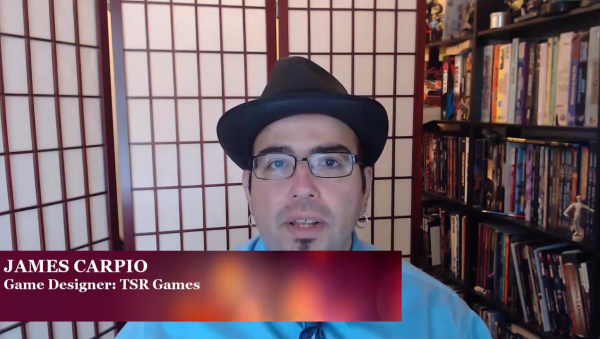 It also includes the second follow-up adventure Operation: Thunderclap. Two modules for the price of one! 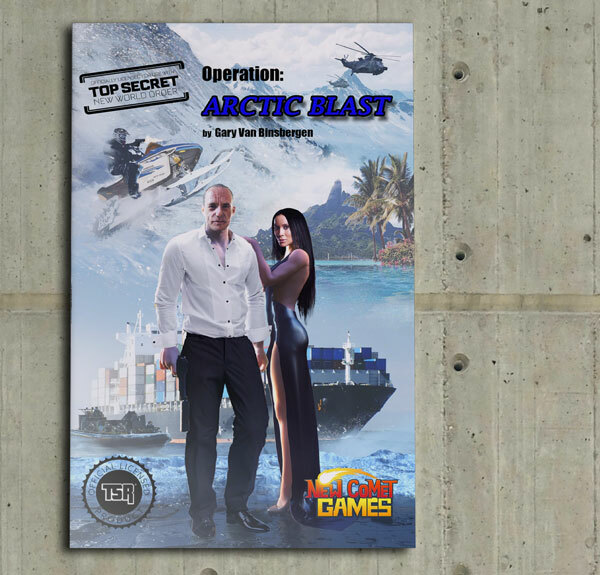 Arctic Blast is written by Gary Van Binsbergen, cover art by Evgeny Maloshenkov, interior artwork by Alvaro Nebot and cartography by Brian G. McWhirter. 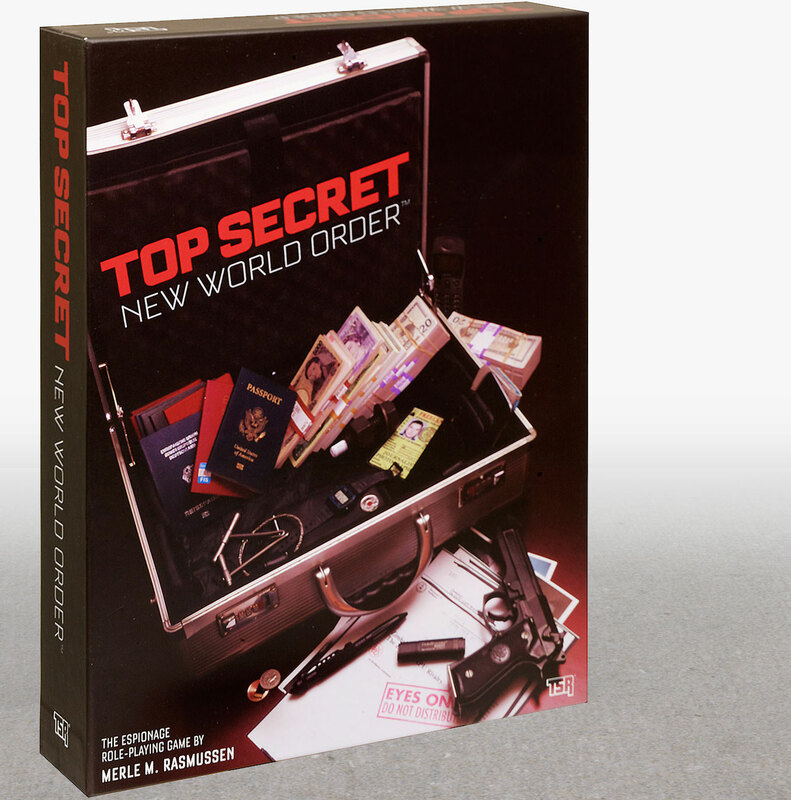 Top Secret: New World Order is an all-new role-playing game by Merle M. Rasmussen, creator of the world’s first espionage role-playing game in 1980. Together with his original editor Allen Hammack, and a design team including James Carpio, Jayson Elliot, Chad Parish, and A.J. 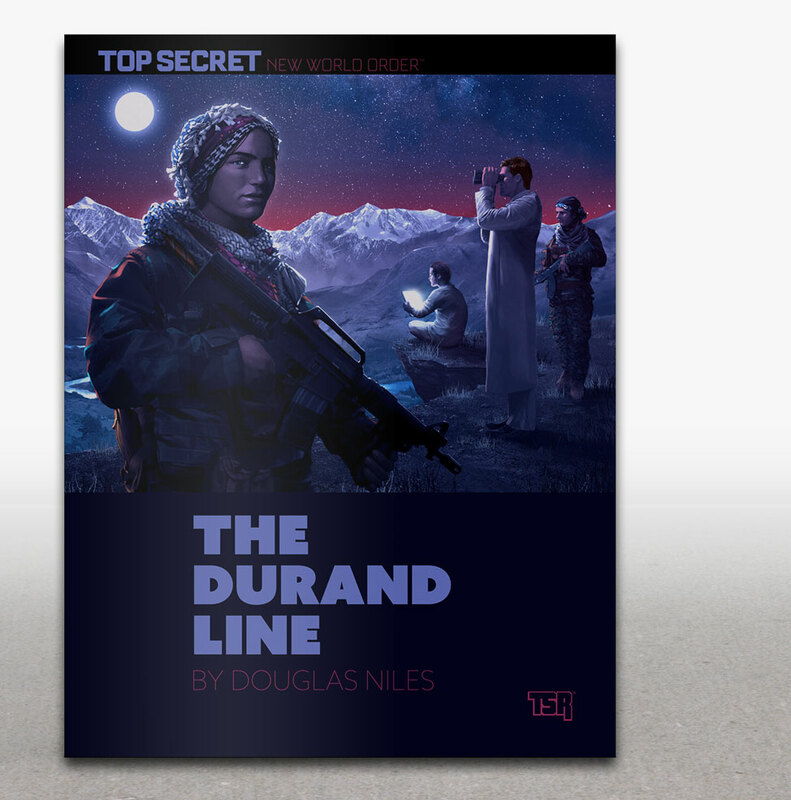 Davenport, they have brought the classic game into the 21st century, with a completely new rule system for fast action, easy playability, and gritty realism.